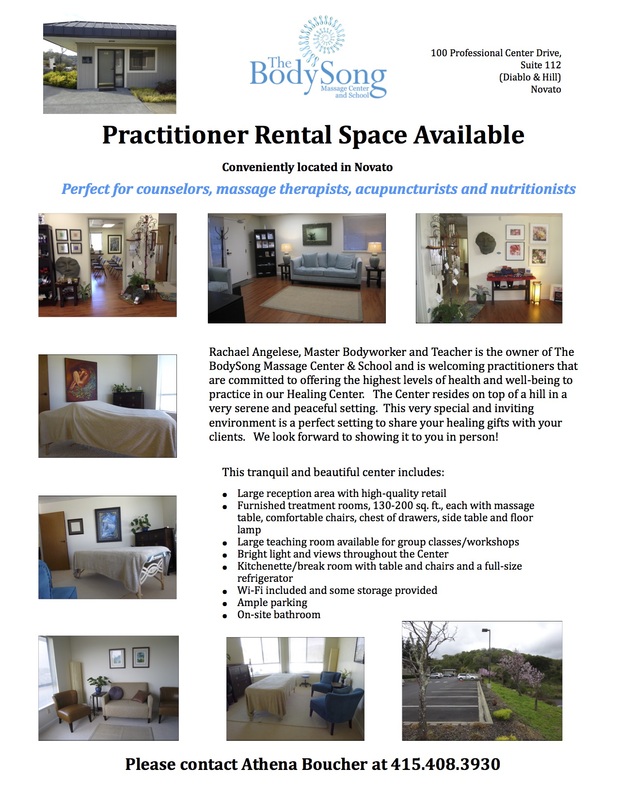 The BodySong Massage Center and School has rental space available for practitioners and groups. We offer a beautiful healing space perfect for bodyworkers, acupuncturists and counselors, with natural lighting and gorgeous views. Wool carpet in hallway and rooms, and gorgeous reception area with hardwood floors. Also a large teaching space is available with hardwood floors. 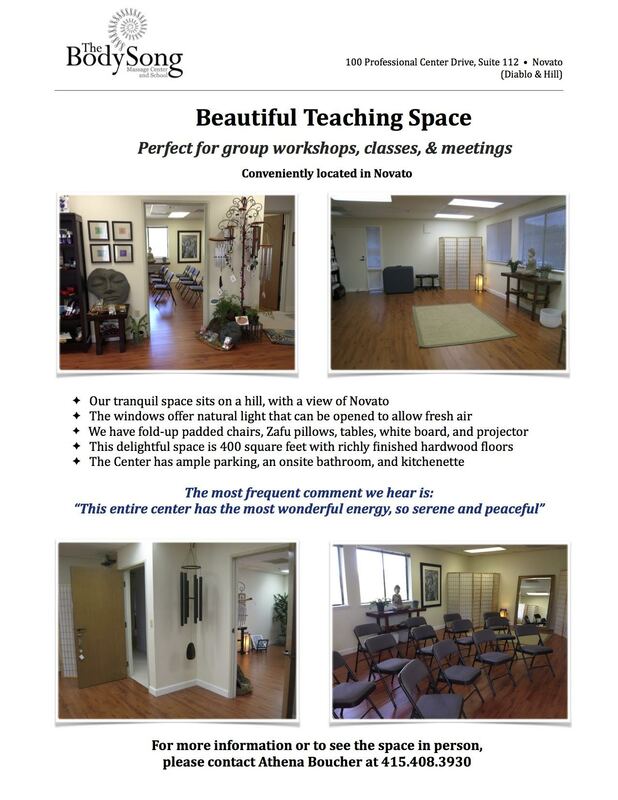 The tranquil center has 3 spa-like furnished practitioner rooms (130-200 sq ft) each with comfortable chairs, chest of drawers, side table and floor lamp, with a massage table if needed. Includes spring water, wifi, tissues, sound system, storage, and a kitchenette/break room with a refrigerator. Rachael Angelese, Master Bodyworker and Teacher is the owner of The BodySong Massage Center & School and is welcoming practitioners that are committed to offering the highest levels of health and well-being to practice out of our Healing Center. The Center resides on top of a hill in a very serene and peaceful Setting. It is a very special and extremely beautiful environment to share your healing gifts with your clients. We look forward to showing it to you in person!